When the Espresso Book Machine launched several years ago, many book publishing pundits predicted that independent bookstores could compete on a more even playing field with Amazon’s extensive offering of millions of titles. If the bookstore didn’t have the physical copy of a book, but that book was in the Espresso database, the bookstore would literally print you a copy of the book while you waited. We’re truly living in the future. However, the reality of the Espresso Book Machine has been different than most people predicted. 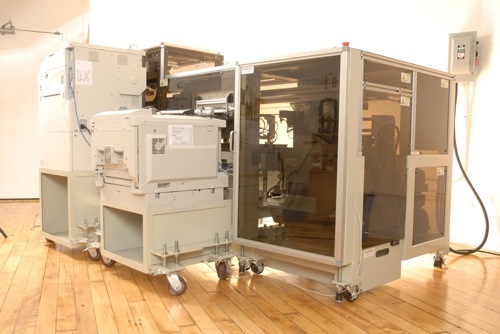 The biggest users of the machine are people wanting to print their own books – as outlined in this Associated Press article. “Clare Dickens only wanted to share her story to help others. But in the process, she became a successful independent author — with the help of a local bookstore and its instant publishing machine. Dickens wrote “A Dangerous Gift” with her son Titus, a memoir of their life dealing with his bipolar disorder. She completed the novel after he took his own life at the age of 25 in 2006. Read the full AP article.